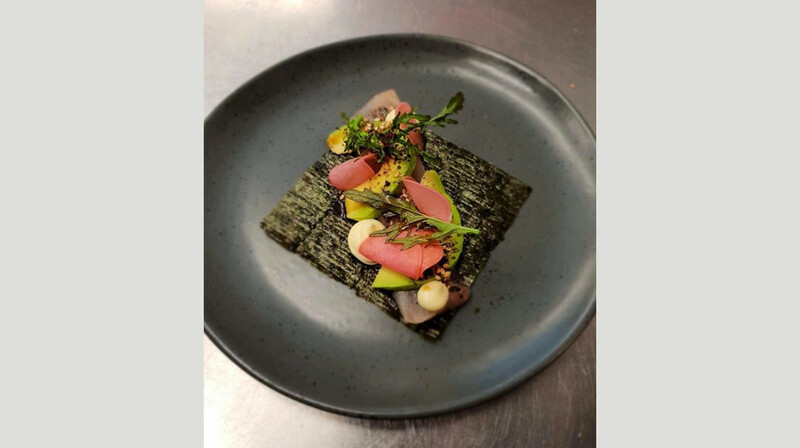 Think fresh Japanese cuisine and authentic sake at Kin! 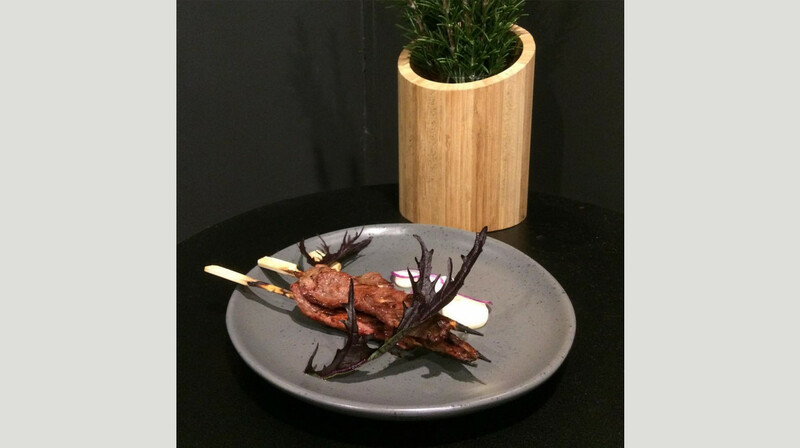 Located in the heart of Hobart, Kin Japanese BBQ is the creation of Head Chef Casey Burns, who was inspired by the Japanese style of cooking. 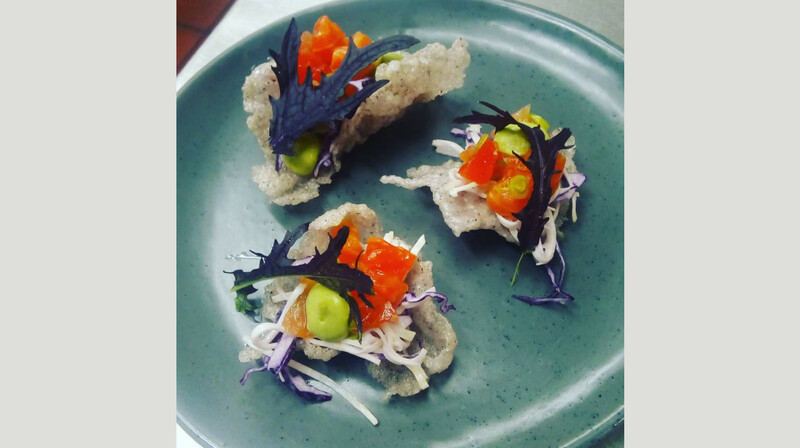 Specialising in the freshest seafood and local meats, as well as beautiful sake and fresh cocktails, they offer a creative twist on authentic Japanese cuisine. Using a traditional Yakitori grill, the kitchen serves a menu of flavoursome ‘sticks’ and sides. 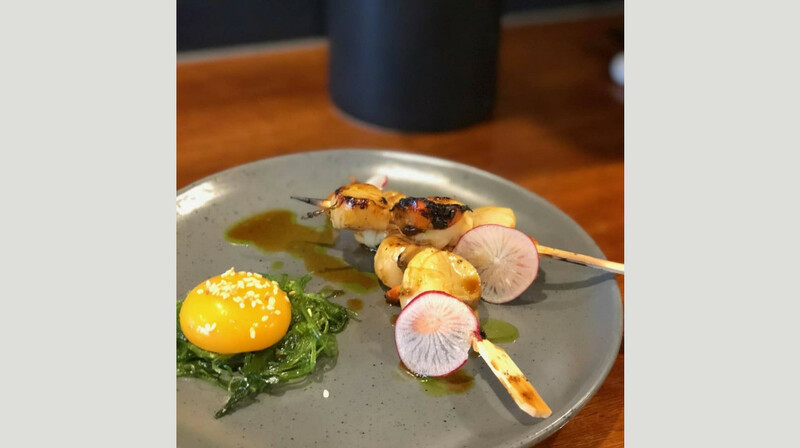 Mix and match dishes of marinated chicken wing, Tasmanian octopus and tender wallaby, perfectly complemented with a side of seaweed salad and miso. 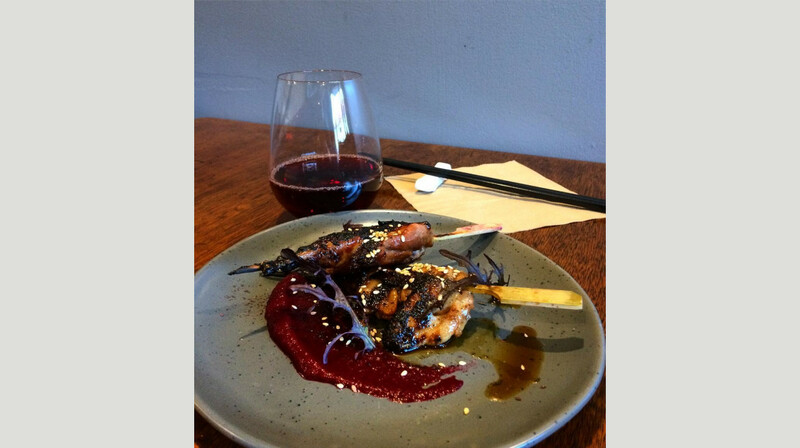 Tucked down Macquarie Street, Kin Japanese BBQ is a hidden gem in the Hobart dining scene. So so good Japanese food! No doubt this was the best Japanese I have had in Hobart. The “feed me” option was great as you get six dishes which includes a fantastic dessert. Every dish was well presented with great sauces and garnishings-such amazing flavours. If you’re in to cocktails the Yuzu marguerita is a must. Will definitely be back. 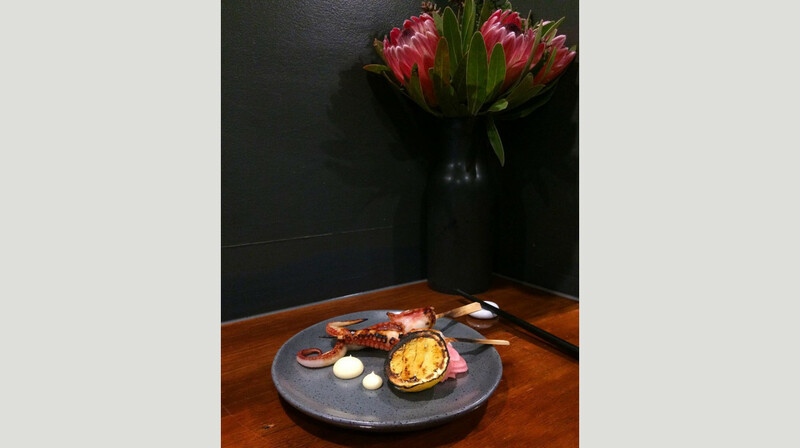 Beautiful food, intimate Japanese dining experience in Hobart! Amazing yuzu tart... and of course amazing service. We’ll be back! Everything is done perfectly. All 6 courses are wonderfully prepared with great ingredients and beautifully presented. Scallop and chicken yokitories are so tender and flavorful. King fish sashimi foldover and oysters are so fresh and sweet. And the lovely evening ends with yummy yutzu tart with fresh berries. We would like to go at least once a week if we live in town. What a little gem! We thoroughly enjoyed our experience at Kin BBQ. 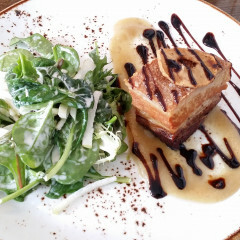 The food was fresh and appealing both to the eye and taste buds and not too expensive. The king fish sashimi was exquisite and the yuzu tart was amazing, so wanted to have another one. Our wait staff was amazing, explaining all the dishes. Clean, tasty and price worthy. Can't wait to return for another delicious meal! Such a quaint find. Best meal in Hobart. Food was healthy and sourced from local produce. Dessert was to die for! I love yakitori and I have had it everywhere, including Japan. This is as good if not better. Small place, very quaint and cosy. The scallop and wallaby yakitori was fantastic; fresh and amazing sauces. The sashimi was also a must have. If they have dessert on the board, get it - you will not be disappointed. The value for the feed me is outstanding... it was filling and delicious. Cannot say enough positives about this place. Opted for feed me option consisting of 6 courses. Well presented tasty food with the highlight being the scallops. The service was excellent always available without being overbearing. Overall a very pleasant experience. Highly recommended. We had such a wonderful experience at Kin BBQ from the welcoming and warm service. The cocktails were awesome where they have a small bar table. We had a yuzu margarita and murasaki negroni which gives you a refreshing feeling. Both cocktails are highly recommended! We did the 6 course feed me option and each plate was presented beautifully, with a delicious combination of flavours. My favourite was the grilled scallops + yolk. We were so glad Kin BBQ was highly recommended to us and we will definitely be recommending this to others! We had the most amazing food at Kin. Opted for the feed me option each of the 6 courses were cooked to perfection. Our kids loved it too they are 3 and 5 years old and the restaurant was very accommodating. We will be back for sure. Would highly recommend this restaurant. Very good food, nice atmosphere and lovely staff! Would definitely come back here! The best dining experience in Hobart. If you care about real food being produced and presented with real passion. Kin is a must. Everyone must try this hidden gem. A small restaurant with a huge heart. Service was so friendly, food was amazing. The mix of flavours the fresh produce and the presentation was 10/10. There were 3 types of sake and the cocktails were amazing. If you want an experience to remember try Kin Japanese. I will definitely be back again and again. Couldn’t have had a better experience. Best meal I’ve had out for a long time. Friendly staff and welcoming ambience. A small intimate restaurant. We had the Feed me options both vegetarian and non vegetarian and shared as I read a previous review which was very complimentary. Both were excellent. Beautifully presented, tasty and with the many courses, ample food. Would certainly recommend Kin Japanese BBQ to anyone. Beautiful meal. We had the 5 courses and every one was well presented and delicious. Had one of our party who didn’t eat sea food and they adapted her menu to suit without any problem. A small restaurant that really impressed. It was lovely from the moment we arrived - great food, friendly service, chill atmosphere. We'll spread the word and be back for sure! I couldn’t have asked for a better evening at Kin Japanese BBQ! The food was delicious and service excellent. 6 delicious courses were devoured by me and I could even share some with my guests! Can’t wait to return and try more from the menu! 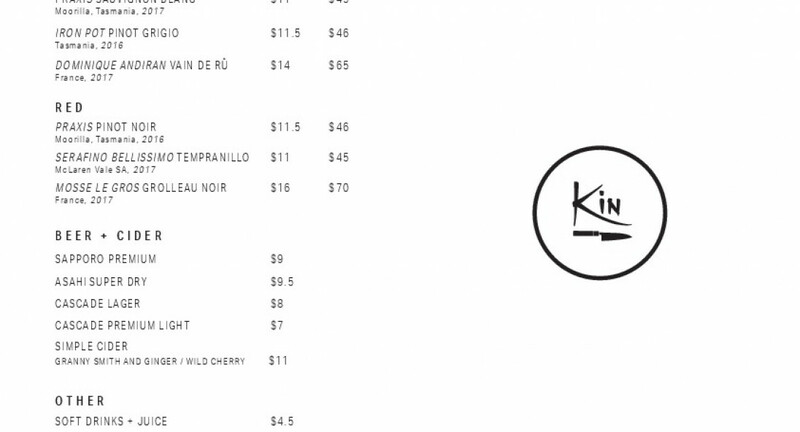 My husband and I opted to visit Kin restaurant recently on the first table offer. This being the first time we have tried First table we had some trepidation of the unknown. We need not of been concerned! 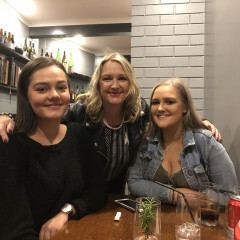 We were greeted with smiles and we left with ourselves smiling.We chose the feed me menu and struggled to finish the exquisite food that Casey the owner operator slash Chef so painstakingly and thoughtfully put together. This put together with the attentive service of Steph made a delightful experience of Japanese food to be remembered for some time... please do yourselves a favour and visit this very tiny and lovely restaurant. Very cosy, great Japanese food that was delightfully different. Our waiter was very helpful and friendly. Would recommend. Casey Burns does a spectacular job sharing his vision of Japanese inspired BBQ and cocktails. Both the food and cocktails were visually appealing and absolutely delicious. Service was prompt, friendly and attentive. 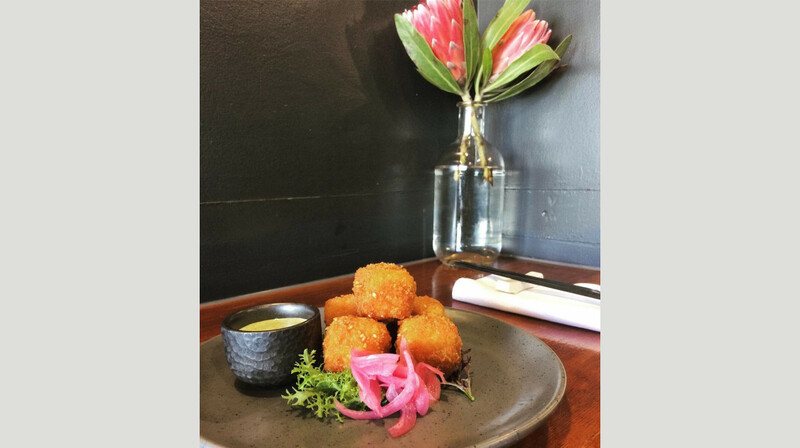 A cosy venue with a well considered menu. Casey's passion is clearly about precision and quality rather than extensive sub-par offerings. Highly recommend! Great experience with wonderful food and service. Also good value for money. We would particularly recommend the scallops, octopus and Kara-age. Not to be missed! 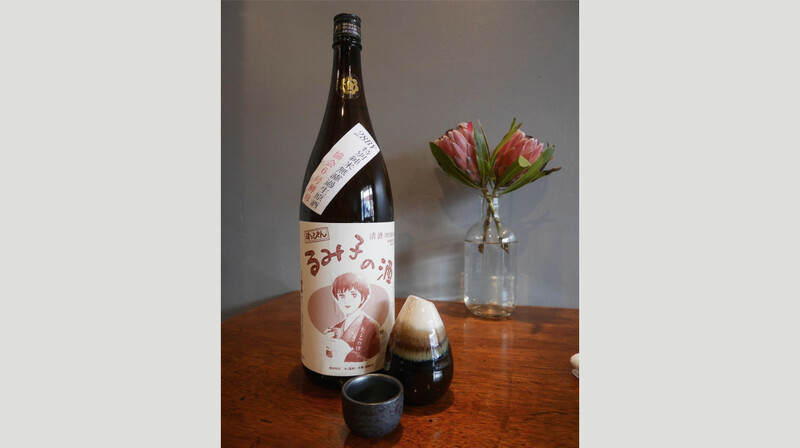 What could be better than 6 courses (as part of the "feed me" banquet) and some quality sake? Not much, and we really enjoyed the variety and friendly service at Kin. Seafood and other delights presented beautifully by the chef. Will be back! The food was so good we almost felt bad for getting 50% off....almost.. This is a 'small plate' restaurant, and every dish we tried was deliciously different from the others. So good, that we ordered more, and ended up with slightly too much. . Service was excellent, and the food was delivered in good time. Keep an eye on this young chef, he may be destined for big things at the rate he's going!